U.S. stocks rose sharply on Wednesday as investors surveyed the fallout from the midterm elections and decided they liked what they saw. 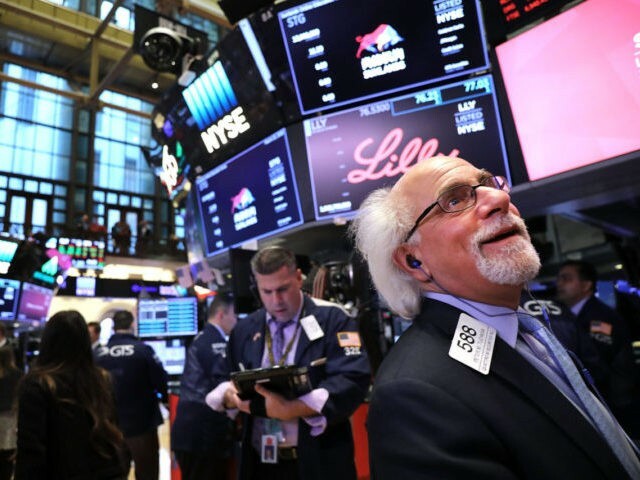 Although stocks were up as markets in New York opened, the rise took on added momentum during President Trump’s combative news conference Wednesday afternoon. News that Attorney General Jeff Sessions had resigned coincided with stocks moving even higher. The Dow Jones Industrial Average jumped 2.1%, or 546 points.. The S&P 500 also rose 2.1%, with all 11 sectors gaining. The tech-heavy Nasdaq Composite leaped up 2.6%. The stock market rally was the best post-midterm election stock market performance since 1982, according to CNBC. The midterm election results came in largely as expected on Wall Street. Republican gains in the Senate, however, exceeded expectations that they would merely hold on to the majority, and analysts said this might have been a factor in Wednesday’s rally. Analysts also said the election removed a source of uncertainty about the future, mainly the risk that Democrats would fare better than expected.